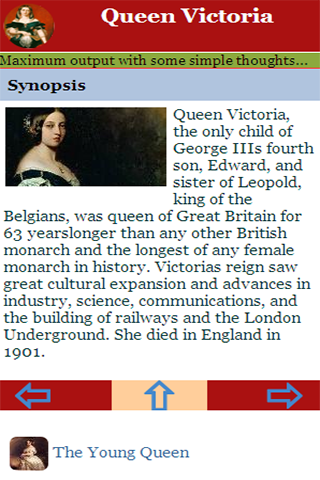 Victoria was the monarch of the United Kingdom of Great Britain and Ireland from 20 June 1837 until her death. 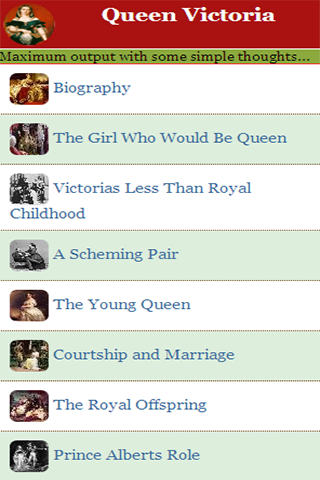 From 1 May 1876, she used the additional title of Empress of India. Victoria was the daughter of Prince Edward, Duke of Kent and Strathearn, the fourth son of King George III. Both the Duke of Kent and King George III died in 1820, and Victoria was raised under close supervision by her German-born mother Princess Victoria of Saxe-Coburg-Saalfeld. She inherited the throne at the age of 18, after her father's three elder brothers had all died, leaving no legitimate, surviving children. The United Kingdom was already an established constitutional monarchy, in which the sovereign held relatively little direct political power. Privately, Victoria attempted to influence government policy and ministerial appointments. Publicly, she became a national icon, and was identified with strict standards of personal morality.